One reason why students do poorly in mathematics problem solving tasks and on achievement tests is a lack of good reading, comprehension, and writing skills. Therefore, Assisting Readers is designed to provide resources that should help you, if your K-12 students are struggling with reading and language arts, or if you'd just like to better connect math to reading. Approaches to K-12 Reading Instruction --a brief essay. The Common Core Standards require changes in approaches to instruction for English Language Arts and Literacy, as well as for mathematics. "Across the English language arts and mathematics standards, skills critical to each content area are emphasized. In particular, problem-solving, collaboration, communication, and critical-thinking skills are interwoven into the standards" (About the Standards, FAQ section). Research has shown the link between reading skills and students' problem-solving abilities. What are the most effective approaches to reading instruction? In A Synthesis of Quantitative Research on Reading Programs for Secondary Students, Baye, Lake, Inns, and Slavin (2018) noted other approaches for reading used with middle and high school learners, which they grouped into categories: tutoring, cooperative learning, whole school approaches, writing-focused approaches, content-focused approaches, strategy instruction, personalization approaches, and group/personalization rotation approaches. Their findings suggested, "secondary readers benefit more from socially and cognitively engaging instruction than from additional reading periods or technology" (p. 2). In Common Core Standards: Starting Now, David Liben and Meredith Liben (2012) provided strategies and resources related to implementing the ELA-literacy standards, beginning with a recommendation to read the standards themselves. Anchor standards for reading include the role of text complexity, in which they noted that syntax plays a role in understanding complex text. "A solid academic vocabulary is essential not only to reading complex text successfully, but also to becoming proficient at writing, speaking, and listening" (Academic Vocabulary section). Students will need to expand the scope of their reading to include more informational texts. Provide a description, explanation, or example of the new term. Engage students periodically in activities that help them add to their knowledge of the terms in their vocabulary notebooks. Periodically ask students to discuss the terms with one another. One-to-one tutoring by teaching assistants. The most effective tutoring uses teachers, however. Volunteers and paraprofessionals can also be used. Small-group remediation (e.g., groups of 3-6 students) works less well than one-to-one. Valerie Chrisman (2005), who conducted a study of California's primary and secondary reform program schools, reported on the benefits of teaching academic English to students learning English as a second language and for those who were academically below grade level. Teachers in successful schools "presented instruction that directly reinforced the students' understanding of how the English language works instead of teaching students conversational English" (p. 19). They taught students how to use root words, suffixes, prefixes, and verb endings and believed this focus on academic English gave all their students an advantage on the state test. K-N-W-S: Students create a four-column chart for the word problem in which they identify "what facts they know (K), what information is not relevant (N), what the problem wants them to find out (W), and what strategy can be used to solve the problem (S)." SQRQCQ: This acronym stands for survey, question, read, question, compute or construct, question. Students begin by skimming the problem to get a general idea as to its nature. They ask what the problem is about and what information is needed to solve it. They read the problem again to highlight details needed to solve it. They question again what is needed to solve it (e.g., what operations, with what numbers, units needed, strategies). They then compute the answer, set up and solve an equation, or construct any needed graphs, tables, diagrams, and so on. Finally, they question again about the correctness and reasonableness of their answer. Three-level guide: This is a graphic organizer with three parts. Early-on the teacher creates this, but later as students become familiar with the strategy they might create it and share with others. It addresses literal, interpretive, and applied comprehension. In part 1, there is a set of true-false facts suggested by information given in the problem. Part 2 has the math concepts, ideas, or rules that might apply to the problem. Part 3 contains specific calculations/methods that might be used to solve the problem. In each part, students decide which element(s) in the list can help solve the problem. Word Problem Roulette: This is a collaborative strategy in which groups of three to four students solve a word problem jointly. Then each takes a turn to write the steps in words for its solution. The first member writes a step, then passes the group solution paper to the next member of the group who writes the next step, and so on. Groups then present their solution to the class. As a group member reads the words, another puts the math symbols on the board. When all groups who tackled the same problem have presented, methods and solutions can be compared. Process Logs: Students write about their thinking during the problem-solving process answering question prompts found on a writing-math worksheet, which guides them through the process. They can use ordinary language and math language. Note that the RAFT method is also useful for formative assessment. You'll find examples within our Math Methodology: Assessment Essay. In Building Mathematical Comprehension: Using Literacy Strategies to Make Meaning Laney Sammons (2011) applies reading comprehension strategies and research into mathematics instruction to help in building students' mathematics comprehension. Chapters address comprehension strategies for mathematics, recognizing and understanding mathematics vocabulary, making mathematical connections, increasing comprehension by asking questions, the importance of visualizing mathematics ideas, making inferences and predictions, determining importance, synthesizing information, monitoring mathematical comprehension, and the guided math classroom. Districts might consider the Four-Blocks® Literacy Model, available for grades 1-3 (shown) and 4-8, which incorporates four different approaches to teach children how to become better readers, writers, and spellers: guided reading (comprehension), self-selected reading, word study, and writing. The program was designed primarily for learners in lower elementary grades. Canton City Schools in Ohio adopted this model for curriculum alignment for reading instruction, and tied Ohio's academic content standards closely in classroom instruction. They used technology for whole class instruction, and adopted the engaging, adaptive technology content of Riverdeep's Destination Success (Reading and Math) program, all of which contributed to a substantial increase (124%) among grade 3 learners in passing the Ohio Achievement Test for Reading at one of its elementary schools (Eaton, 2005). [Readers should note that Riverdeep merged with Houghton Mifflin in 2006 and the company later became known as Houghton Mifflin Harcourt.] Dr. Andy Johnson provided a brief overview of the Four Blocks Literacy model in his YouTube video. Richard Allington (2007), past president of the International Reading Association, shared another view on assisting struggling readers. He proposed intervention all day long, as new hope for struggling readers, rather than the current situation in many schools where struggling readers are provided 30–60 minutes of appropriate supplemental reading instruction with a reading specialist. Students "then spend the remaining five hours a day sitting in classrooms with texts they cannot read, and that cannot contribute to learning to read, let alone contribute to the learning of science or social studies" (p. 7), and, I would add, any other content area. Allington (2007) noted that "too often, the texts in students’ hands are appropriate for the highest achieving half of the students" and "only the best readers have books in their hands that they can read accurately, fluently, and with understanding. All students need texts of an appropriate level of complexity all day long to thrive in school. Once we have a more differentiated set of curriculum materials, then we might expect a better balance of whole-class, small-group, and side-by-side lessons. While all students benefit from small group and side-by-side teaching, it is the struggling readers who seem to benefit most, perhaps because they have the greatest need for explicit teaching and scaffolded, personalized instruction" (p. 13). Screen all students for potential reading problems at the beginning of the year and again in the middle of the year. Regularly monitor the progress of students who are at elevated risk for developing reading disabilities. Provide differentiated reading instruction for all students based on assessments of students’ current reading levels (tier 1). Provide intensive, systematic instruction on up to three foundational reading skills in small groups to students who score below the benchmark on universal screening. Typically these groups meet between three and five times a week for 20–40 minutes (tier 2). Monitor the progress of tier 2 students at least once a month. Use these data to determine whether students still require intervention. For those still making insufficient progress, school-wide teams should design a tier 3 intervention plan. Read: Evaluation of Response to Intervention (RtI) Practices for Elementary School Reading by Rekha Balu, Pei Zhu, Fred Doolittle, Ellen Schiller, Joseph Jenkins, and Russell Gersten (2015). Per the Executive Summary: "This report provides new information on the prevalence of RtI practices in elementary schools, illustrates the implementation of RtI practices for groups of students at different reading levels, and provides evidence on effects of one key element of RtI: assigning students to receive reading intervention services." Among findings for the school year 2011-2012, "For those students just below the school-determined eligibility cut point in Grade 1, assignment to receive reading interventions did not improve reading outcomes; it produced negative impacts" (p. ES-1). Do you have a learner with dyslexia? Several websites provide reading resources for learners with dyslexia. It can be difficult to help such learners to read and write, if you have no experience with this disability. When reading, words and letters can jump around on the page, as seen in this realistic simulation of reading with dyslexia (Ritschel, 2017). The University of Oregon is home to the Dynamic Indicators of Basic Early Literacy Skills (DIBELS) to assess reading progress. DIBELS is "a set of standardized, individually administered measures of early literacy development. They are designed to be short (one minute) fluency measures used to regularly monitor the development of pre-reading and early reading skills." Download the materials for free, along with instructions for administering and scoring. The University of Oregon also has posted 5 Big Ideas in Beginning Reading, along with resources for addressing each: phonetic awareness, the alphabetic principle, fluency with text, vocabulary, and comprehension. Do you need apps for reading? Graphite.org is a free service from Common Sense Media "designed to help preK-12 educators discover, use, and share the best apps, games, websites, and digital curricula for their students" (About Us section). Ratings are provided by teachers. Search by type (apps, console and PC games, websites), subject areas, grade level, and price (free, free to try, paid). When searching for apps, you can also select app devices that include iPad, iPod Touch, iPhone, Android, Kindle Fire, and Nook HD. Graphite also offers Common Core Explorer to help with locating tech resources in its database aligned to the Common Core Standards. See a list of its top 8 Apps to Introduce Reading posted at T.H.E. Journal (2014, February 20). As grade 3 is thought to be a transition grade between learning to reading and reading to learn, Biancarosa (2012) recommended "reading instruction after 3rd grade should target skills, strategies, and behaviors that research has identified as central to reading in digital environments" (p. 26). Such skills would include teaching search strategies and text structures of informational websites so that learners can find their own background information on a topic rather than relying on the teacher to provide it, how to gather relevant information from targeted reading, and how to gain efficiency when reading digital content, as reading online is slower than reading digitally for deep meaning and developing higher-level literacy. Further, "online reading comprehension includes the online reading and communication skills required by texting, blogs, wikis, video, shared writing spaces (such as Google Docs), and social networks such as Nings" (para. 2). ORCA resources are available for this endeavor, including classroom lessons on reading to locate, evaluate, synthesize, and communicate. There is also a Checklist of Online Reading Skills. ORCA provides its alignment with Common Core Standards. Become familiar with issues surrounding use of print-based texts versus digital or e-texts. Read Points to ponder on pixels and paper by Patricia Deubel (2006, October 4) in T.H.E. Journal. You'll find features of an ideal e-textbook and concerns about using e-textbooks. Read Print versus digital texts: understanding the experimental research and challenging the dichotomies by Bella Ross, Ekaterina Pechenkina, Carol Aeschliman, and Anne-Marie Chase (2017, November 3) in Research in Learning Technology. The authors elaborate on benefits of print-based texts, the importance of a reader's preference for print-based or digital text and use based on familiarity with a particular technology, the advantages of e-texts, and recommendations for impactful e-text learning. Center on Instruction contains publications and presentations on reading, the research syntheses, and exemplars of best practices in reading arranged by grades K-3, grades 4-12, special education, and English language learning. Early Readers from the Pacific Regional Education Laboratory includes a set of early reader books for K-3, which can be downloaded or printed in any of nine Pacific languages and English. Some also include an audio version. English Biz includes pages devoted to writing better essays and writing to inform, persuade, argue, describe, explain, review, and so on. Punctuation, grammar essentials, and better spelling are included. Parts of this site are devoted to English literature for secondary learners. Get Ready to Read from the National Center for Learning Disabilities contains free early literacy and early math resources for preschool children. Users will find early literacy games, webinars, checklists, and tips for parents. The site contains screening tools, a transitioning to kindergarten toolkit, skill-building activities, and early learning and childhood basics. International Reading Association has numerous resources on topics and issues as adolescent literacy, beginning readers, children's and young adult literature, critical literacy, language and cultural diversity, No Child Left Behind, reading assessment and comprehension, struggling readers and writers, teacher education, technology, and urban education initiatives. KidsAndReading from the UK contains numerous articles for helping children to learn and enjoy reading. Also find classroom methods, tools and techniques, reading games, printable puzzles, and more. The section on encouraging your child has suggestions for books for boys and girls and teens and helpful tips. A special concerns section deals with learning to read when learners have ADHD, autism or dyslexia, are struggling readers, have parents who cannot read, or have English as a second language. Learning First Alliance is a partnership of 12 educational associations that have come together to improve student learning in America's public elementary and secondary schools. Through the website, visitors may download Every Child Reading: An Action Plan, and Every Child Reading: A Professional Development Guide, which provide reading tips for parents, teachers, and schools. Lexile Framework for Reading helps connect your students to books of interest based on the students' reading levels. "The Lexile Framework for Reading is a scientific approach to reading and text measurement. There are two Lexile measures: the Lexile reader measure and the Lexile text measure. A Lexile reader measure represents a person’s reading ability on the Lexile scale. A Lexile text measure represents a text’s difficulty level on the Lexile scale. When used together, they can help a reader choose a book or other reading material that is at an appropriate difficulty level. The Lexile reader measure can also be used to monitor a reader’s growth in reading ability over time." There is an extensive database, also with books for educators on mathematics teaching and learning. Math and Reading Help for Kids is an American Library Association corporate member. While there are several sections at this site, the reading section "covers several age groups ranging from early childhood to high school. Topics range from building strong literary skills to suggested reading lists for all age groups." National Institute for Direct Instruction (NIFDI) has a comprehensive collection of information of direct instruction research. According to NIFDI, "Direct Instruction (DI) is a model for teaching that emphasizes well-developed and carefully planned lessons designed around small learning increments and clearly defined and prescribed teaching tasks. It is based on the theory that clear instruction eliminating misinterpretations can greatly improve and accelerate learning." National Reading Panel Publications: One such document is Put Reading First: The Research Building Blocks for Teaching Children to Read, which includes the findings of the National Reading Panel Report. This booklet provides analysis and discussion in five areas of reading instruction: phonemic awareness, phonics, fluency, vocabulary and text comprehension. Each section suggests implications for classroom instruction. Promoting Reading Strategies for Developmental Mathematics Textbooks by Anne E. Campbell, Ann Schlumberger, and Lou Ann Pate (1997) of Pima Community College includes three reading and study strategies designed to facilitate student comprehension of and learning from developmental mathematics textbooks. The discussion includes a preview, predict, read, and review reading strategy; concept cards; and a Question Answer Relationship technique. For example, concepts cards can include definitions, characteristics, examples, and nonexamples. Common kinds of concept cards in math include: (a) strategy cards for solving problems; (b) fact cards that include rules, laws, or theorems; and (c) cards for symbols and specialized vocabulary. Readability is a free tool that educators might use to help readers better focus on the content of web pages they encounter. It removes the clutter on web pages. The installation provides a button to put on your browser's tool bar. Clicking on the button will convert content on the page to show only text on a white background. Settings can be adjusted, including font-size and margins. Readability also stores articles you find on the web to read at a later time. 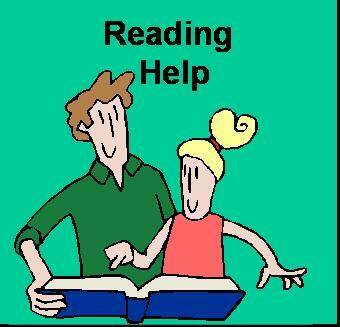 Reading Resource.Net: Stephen Griffin and Katie Appel provide free resources and materials for teaching children with dyslexia or other reading difficulties to read. They say, "We can explain why children can't read and tell you what you can do to improve their reading skills. Whatever you are seeking, be it reading strategies, teacher resources, reading activities or just a better understanding of the causes of dyslexia and reading problems themselves..."
ReadWriteThink.org, supported by the National Council of Teachers of English, is devoted to free standards-based resources for reading and language arts instruction. It also contains resources for high school students. The ReadWriteThink Webbing Tool is particularly useful "free-form graphic organizer for activities that ask students to pursue hypertextual thinking and writing. The tool provides a quick way for students to trace out options and rearrange connections. Students can use the Webbing Tool to analyze readings as well as a prewriting activity and flowcharting tool." Activities using the tool are provided. The graphic organizer can also be used for math activities and is freely available. Results can be printed. A site search reveals several classroom resource lessons for elementary grades exploring math and literacy.is particularly useful "free-form graphic organizer for activities that ask students to pursue hypertextual thinking and writing. The tool provides a quick way for students to trace out options and rearrange connections. Students can use the Webbing Tool to analyze readings as well as a prewriting activity and flowcharting tool." Activities using the tool are provided. The graphic organizer can also be used for math activities and is freely available. Results can be printed. A site search reveals several classroom resource lessons for elementary grades exploring math and literacy. Reading is Fundamental contains resources for parents and educators, including articles on the latest reading research, books, activities, web resources, advice and tips. Rewordify.com "helps with reading comprehension and vocabulary development by simplifying English to a lower reading level. It lets you reword a sentence or reword a paragraph. It will simplify English by reducing text complexity. It's a dictionary alternative that will improve comprehension and teach vocabulary. It's an important part of reading instruction and vocabulary instruction for ESL students, people with reading disabilities, people with a learning disability, or anyone who wants to improve reading skill" (Site Summary). The software creates the easier version and words changed are highlighted. Clicking on those words allows users to hear and learn the original harder words. This free site was developed by teacher Neil Goldman. Sightwords.com includes free resources to help educators and parents teach sight words to kids from Pre-K to 4th Grade. Features include sight word games (e.g., Bingo, Go Fish) that can be customized and printed, customizable flash cards, and classroom-tested lessons with "how-to" videos. The Georgia Preschool Association is noted as a sponsor of this site. SpellingCity.com: Along with learning to read and write well is the need for learning to spell. This site enables students to practice spelling with their own personalized lists, rather than just random spelling words. Students can see their list in flashcard format, hear them spoken by a real human voice, play games with the words, and even take practice spelling tests. The site also has a database of over 37,000 words and eight spelling games. It was selected for a Parents' Choice Recommended Award in 2008. In The Common Core: Teaching K-5 Students to Meet the Reading Standards , Maureen McLaughlin and Brenda Overturf (2012) explain the CCSS reading standards and align them with appropriate research-based reading strategies. They show how to use those and include classroom applications and student examples. McLaughlin and Overturf have similarly written The Common Core: Teaching Students in Grades 6-12 to Meet the Reading Standards (2013). Part I highlights what comprehension is and how to teach it, including the principles that guide practice, a review of recent research, and a new section on assessment. Part II contains lessons and practices for teaching comprehension. Part III, Comprehension Across the Curriculum, deals with comprehension strategies and includes chapters on social studies and science reading, topic study research, textbook reading and the genre of test reading. Part IV has Resources That Support Strategy Instruction. Literacy Strategies for Grades 4-12: Reinforcing the Threads of Reading by Karen Tankersley (2005) includes five chapters. Chapter 1 is on Struggling Readers, chapters 2-5 address Fluency, Vocabulary, Comprehension, and Higher Order Thinking. There is also a study guide for this 202-page book. Effective strategies for improving reading skills are provided, along with suggestions for doing well on high stakes tests (see this latter in chapter 5). Supporting Web site links for additional information are provided throughout. The author's Web site is http://www.threadsofreading.com/ Threads of reading include phonetic awareness, phonics, vocabulary, fluency, comprehension, and higher order literacy (i.e., reading for analysis, synthesis, interpretation, and evaluation). Consider linking mathematics to literature. The Best Children's Books features Math for Kids: Children's books that build a love of math. This collection was created by teachers. You'll find engaging books ranging from basic operations, to telling time, money, geometry, fractions, probability, graphing, and so much more. Chart of children's literature featured in the Math Solutions Publications series Math, Literature, and Nonfiction, listed with grade levels (K-8) and topics. Mathicalbooks.org features award-winning fiction and non-fiction books for kids aged 2-18, sure to inspire them to see math in the world around them. "Award-winning Mathical titles are selected by a nationwide committee of mathematicians, educators, librarians, early childhood experts, and others. Each year’s selections joins a growing list of stories ranging from picture books and graphic novels to chapter books and young adult literature. Do you want evidenced-based reading programs? Best Evidence Encyclopedia, created by the Johns Hopkins University School of Education's Center for Data-Driven Reform in Education, includes a list of programs to consider for what works for struggling readers, which are based on reviews of research conducted by Robert Slavin and colleagues. You'll also find top rated reading programs for beginning, upper elementary, elementary, middle/high school, and English language learners. Additional reports on the effects of technology use on reading achievement in K-12 classrooms and the effects of technology use on reading outcomes for struggling readers are available. Additional research by Robert Slavin (2016) revealed at least 24 proven programs for elementary struggling readers that meet the new ESSA evidence standards. Of those 24, 14 met the "strong" ESSA criterion, eight met the "moderate" standard, and two met the "promising" standard. In A Synthesis of Quantitative Research on Reading Programs for Secondary Students, middle and high school, Baye, Lake, Inns, and Slavin (2018) found 17 programs (see Table 12, p. 79) meeting ESSA evidence standards with strong (n=16) and moderate (n=1) ratings. These were grouped into categories: tutoring, cooperative learning, whole school approaches, writing-focused approaches, content-focused approaches, strategy instruction, personalization approaches, and group/personalization rotation approaches. Evidence for ESSA is a free website from the Center for Research and Reform in Education at Johns Hopkins University, which began in 2017. It's purpose is to provide educators with the most up-to-date and reliable information regarding K-12 programs (e.g., in math and reading) that meet the strong, moderate, and promising evidence criteria per the Every Student Succeeds Act of 2015. Accelerated Reader from Renaissance Learning has research evidence for its effectiveness, such as that noted at What Works Clearinghouse and the National Center on Student Progress Monitoring. Students choose books at their reading level; this computer-managed program helps assign those readings, then provides quizzes to help monitor students' reading performance and vocabulary growth; immediate feedback is provided. Students do not work directly on the computer, however. For a discussion on Accelerated Reader see Slavin, Cheung, Groff, and Lake (2008). Book Adventure "is a FREE reading motivation program for children in grades K-8. Children create their own book lists from over 7,000 recommended titles, take multiple choice quizzes on the books they've read, and earn points and prizes for their literary successes. Book Adventure was created by and is maintained by Sylvan Learning," according to the website. BrightStar Reader from BrightStar Learning is an internet-based "game-like program that improves reading fluency and focus by enabling reluctant, slow, dyslexic readers to effortlessly and automatically recognize sight words. The BrightStar Reader also helps those who have been diagnosed with dyspraxia or visual attention deficit disorders" (What is BrightStar Reader? section). The program is recommended for learners at least 8 years old. An assessment suite helps to customize the program to the individual and there is progress tracking. There is a fee for this program. Failure Free Reading, a research-based program, targets and is most effectively used with At-Risk and English as a Second Language Students, nonreaders, Special Education students with severe learning difficulties and others in the lowest 10% of the reading population. Fast ForWord is a product of Scientific Learning designed for K-12 students who are reading below grade level. "The Fast ForWord program develops brain processing efficiency through intensive, adaptive exercises." The program is based on more than 30 years of neuroscience and cognitive research. Istation: Reading and Writing is a comprehensive internet based reading and intervention program that helps ensure students reach their reading potential through continuous progress monitoring and layered instruction and intervention. It is designed for students in grades preK-12, including English Language Learners and at-risk students. Istation Math is also available, which "offers game-like computer-adaptive formative assessments appropriate for Pre-kindergarten to 8th grade students and adaptive online instruction appropriate for Pre-kindergarten to 5th grade" (Math section). Lexia Reading Software: The What Works Clearinghouse rated this program, which is from Lexia Learning in Concord (MA), as “potentially positive” for comprehension and alphabetics, based on data from three studies involving 314 students in kindergarten and 1st grade. See the WWC report for additional details. Mindplay software is for struggling readers, including mainstream students, ESL, ELL, and students with learning disabilities (e.g., dyslexia, ADD,and ADHD). It's award-winning and based on scientifically-based research. MightyBook "specializes in children's illustrated, animated read-aloud eBooks and Story Songs for ages 2 to 10, plus children's sing-along songs" (More About MightyBook section). QuickReads from Pearson is a research based program for students in grades 2-6, designed to increase fluency, automaticity, and comprehension. Text length corresponds to grade-level reading rate for 1 minute. Read 180 from Houghton Mifflin Harcourt is a research-based intervention program for students in grades 4-12 whose reading level is below proficient. Students using Read 180 have shown gains at least double the equivalent control groups. For a discussion on the research for Read 180 see Slavin, Cheung, Groff, and Lake (2008). In its November 2016 update on Read 180, the What Works Clearinghouse stated, "READ 180 was found to have positive effects on comprehension and general literacy achievement, potentially positive effects on reading fluency, and no discernible effects on alphabetics for adolescent readers" (Evidence Snapshot section). Reading A-Z has over 1000 leveled books in multiple genres spanned across 27 levels of difficulty. Books and resources are correlated to the Common Core Standards and primarily for K-6, although they can be used with a "range of grade levels in special education and special needs, remedial reading, ESL, and ELL" (About section). Guided reading lesson plans, worksheets, and assessments are available. There are resources for phonics, fluency, vocabulary, poetry, assessment, and the alphabet. Reading Bear, a WatchKnowLearn.org project, "is a fun way to learn to read." You'll find over 1,200 vocabulary items and 50 presentations that cover all the main phonics rules. Best of all--it's free. Reading Horizons provides a systematic, explicit, sequential, and multi-sensory approach to teaching reading via the 42 sounds of the alphabet, 5 phonetic skills, and 2 decoding skills. Products are available for K-3 instruction, K-12 intervention, special education, ESL instruction, adult literacy, and home use. Interactive reading software helps differentiate instruction for each learner. Per its description, "scripted, non-consumable direct instruction materials make it possible to provide research-based, multisensory reading instruction that easily adapts to whole-class, small-group, and one-on-one instructional settings." Resources include articles on reading strategies, blended instruction, dyslexia, early literacy, and more. There's also a blog. Reading Recovery: The Reading Recovery Council of North America describes this reading program as a research-based "short-term intervention for first graders having extreme difficulty with early reading and writing" (Reading Recovery section). Reports on effectiveness are incuded. Reading Rockets offers strategies for kids who struggle, strategies for teaching reading, books, free reading guides, reading research, blogs about reading, PBS shows on reading, and so much more. ReadWorks is a "FREE, research-based, and Common Core-aligned reading comprehension curriculum for grades K-6." ReadWorks delivers "lesson plans directly to teachers online" and "provides over 1,000 non-fiction reading passages with question sets to support reading activities." Starfall is a free site designed to teach children how to read. Select one of the online books with its associated activities. StudyDog is designed for K-6 struggling readers. There is also a free online placement test that is appropriate for children Pre-K through 1st Grade, and struggling readers in 2nd and 3rd grades. Success for All includes reading programs for preK-8. For example, The Reading Edge is the reading component of the Success for All middle school program. See Slavin, Cheung, Groff, and Lake (2008) for discussion on its effectiveness. You'll also find PowerTeaching: Mathematics for middle school at Success for All. This program is "an instructional approach that links Common Core, state standards and school curricula to research-proven instructional strategies and classroom resources that promote rigor and student engagement" (Overview section). SuccessMaker from Pearson Education is an "adaptive and prescriptive scheduling intervention program delivering both reading and math curriculum" (SuccessMaker description). It was rated by the What Works Clearinghouse. In its November 2015 updated review of 10 studies, SuccessMaker “was found to have no discernible effects on comprehension and reading fluency for adolescent readers." See the WWC report for additional details. Superkids Reading from Rowland Reading Foundation (WI) is primarily for grades K-2. It integrates learning to read, write, and spell and features explicit, systematic phonics and multimodal instruction. Studies of effectiveness have been conducted. Text Project offers free, downloadable informational books for students with summer reads, a beginner series, talking points for kids, and read-aloud favorites. Voyager Passport from Voyager Sopris Learning is a comprehensive K-5 reading intervention that meets the needs of all struggling readers. It was reviewed by Slavin, Cheung, Groff, and Lake (2008). Note: The latest version is aligned with Common Core standards. Biancarosa, G. (2012). Adolescent literacy: More than remediation. Educational Leadership, 69(6), 22-27. Chrisman, V. (2005). How schools sustain success. Educational Leadership, 62(5), 16-20. Eaton, C. (2005). Sparking a revolution in teaching and learning. T.H.E. Journal, 32(13), 21-24. Marzano, R. (2009). Six steps to better vocabulary instruction. Educational Leadership, 67(1), 83-84. Shaywitz, S., & Shaywitz, B. (2007). What neuroscience really tells us about reading instruction. Educational Leadership, 64(5), 74-76.